Ringing in the New Year a little late with this sweet recipe. 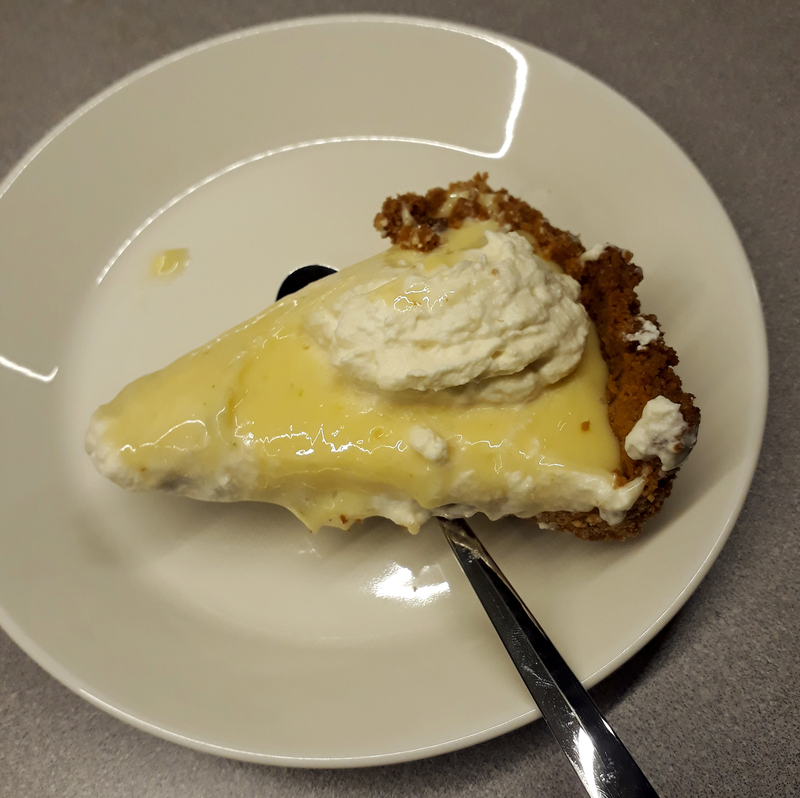 Technically this is just regular lime pie as there aren’t any key limes to be found in Estonia but it still counts I think. This recipe comes together with very little effort and is a nice not too sweet dessert for any occasion. Preheat the oven to 175°C. In a medium bowl, stir together the cookies, sugar, and melted butter with a fork. Press mixture into a 9-inch pie dish, pat flat, and bake for about 10-15 minutes until just browning. Prepare filling in a medium bowl by whisking together sweetened condensed milk and egg yolks, lime zest, and lime juice then set aside. Cool pie crust completely, then pour the filling into the crust and bake for 15 minutes. Chill the pie in the refrigerator for at least one hour before serving.